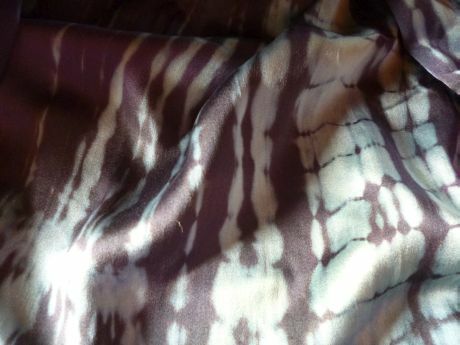 This wonderful tie dyed silk was part of my fabric haul from my Bali trip last year. We found a great fabric store called Alta Moda and bought some beautiful fabrics on our trip. It was lovely to spend time there and as I had recently started my RTW fast for the first time fabric was all I shopped for. 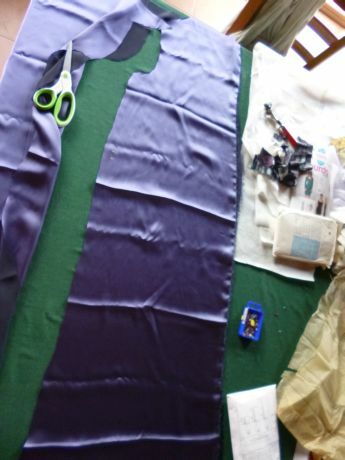 As I had made a version of this before I felt confident that I would not make a mess of this lovely fabric, and when cutting the silk the pattern would fit perfectly. It really is the the best way to approach a new pattern. 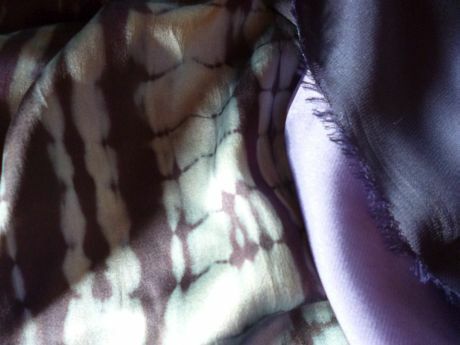 Make a muslin ( wearable or to keep as a pattern), that way you are not taking chances with your fabulous fabric and can have confidence in the fit of what you are making. As this pattern was well known to me I knew this would be a fairly quick make. 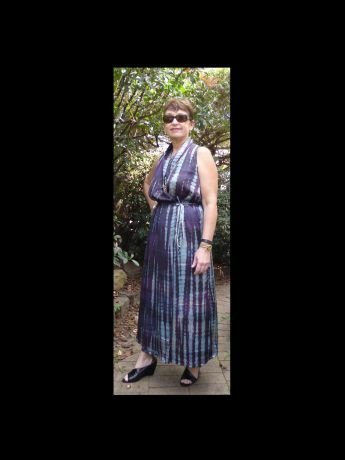 there was only one change this is a maxi dress my previous make was a top . 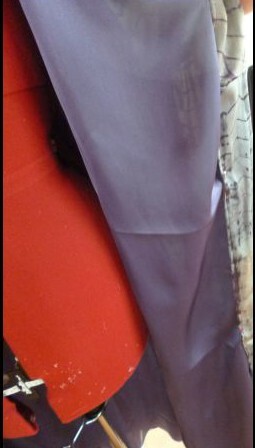 Not a big deal but the previous make was polyester and this is silk satin fairly light weight . I cut it out and sewed it as per the pattern but I used french seams this time. After making the dress I felt that it was to clingy and the fabric was too light even though I absolutely love the fabric , it needed more body . I decided to add a lining . 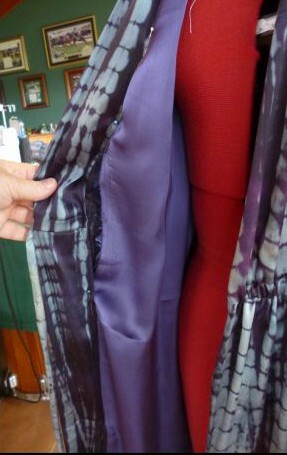 Luckily in my Bali stash I had some lovely double georgette that is mauve on one side navy on the other. Perfect . I cut out the pattern pieces needed to line this. . I sewed the lining and attached it to the dress. 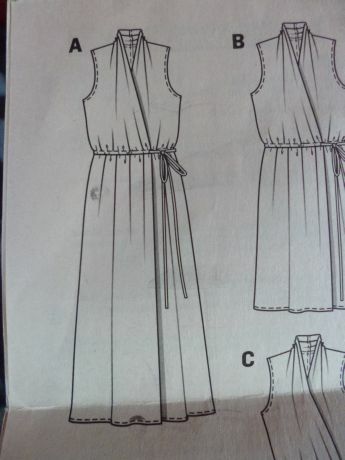 The pattern doesn’t give any lining instructions but it really isn’t hard. 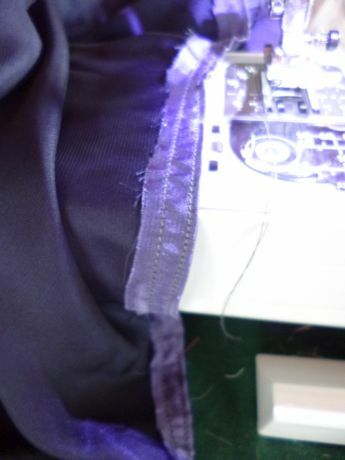 I noticed as well the dress was a little to sheer before the lining and even with the lining its not completely opaque but the lining makes it better. It falls beautifully now, feels amazing and fits like a dream. We have a function coming up at a winery so this will do I think nicely. As we are now in Autumn in Australia the weather is a little cooler. We still have warm days though. I have started my cool weather wardrobe additions Yeah ! . What are you making? What season are you planning for? I hope you are having as much fun as I am ! Its exciting to plan and execute new challenging makes. I will post mine soon. 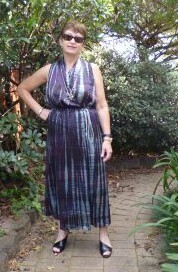 This entry was posted in Uncategorized and tagged Lining, Maxi dress, silk. Bookmark the permalink. Thanks Barbara, it was an easy make , didn’t take long.